I had been waiting quite a long time to read “Promises to Keep.” I first heard about it when I went to a book signing for Jane Green in the summer of 2009. She was then talking about her friend who inspired the story and how it was in the works. When it came out this summer, I didn’t get a chance to read it right away. However, I obtained a copy a few weeks ago and devoured it in less than a week, as a result. It was well worth the wait! “Promises to Keep” is about a family in different phases of their lives. Callie has it all together, a great job, loving husband and children with whom she shares mutual adoration. Her sister, Steffi, is a chef but doesn’t know what she wants out of her life. She keeps dating guys who live like they’re still in college and adopts dogs only to pass them along to her mother’s friends. Their parents have been divorced for over 30 years and future marriages (on either end) ended in death or another divorce. Then a tragic circumstance brings the family, along with a close friend, together in ways they never thought possible. This novel felt different from most of Jane Green’s previous works. Sure, there were the beautiful descriptions of people and scenery and the laid back quality that she usually lends to her stories, giving off a cozy feel overall. However, it also read like a cross between a Jennifer Weiner novel and a Kristin Hannah novel. Not that it’s a bad thing, since I love both authors and their works. 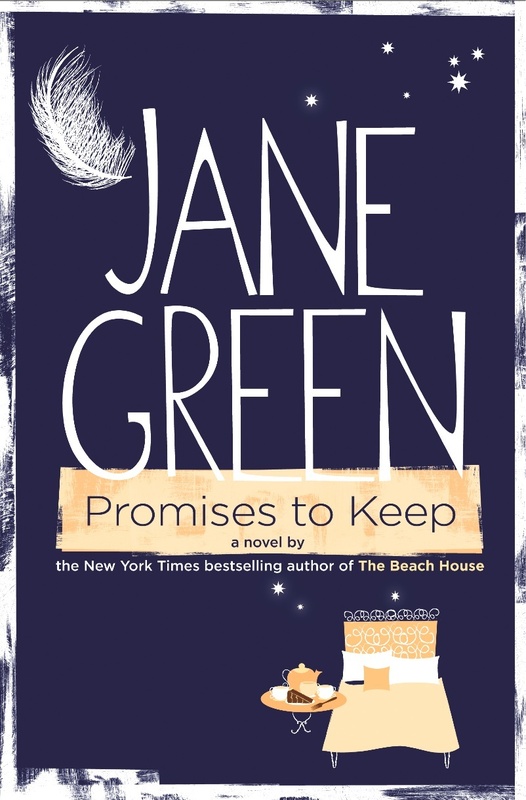 However, I felt that it took away from Ms. Green’s true voice and it made me check the cover a few times to make sure it really was her novel. She definitely can write a Jewish woman’s voice to rival that of Jennifer Weiner and Stacey Ballis. She can also write a tearjerker to rival those of Kristin Hannah’s novels and “Promises to Keep” is proof of that! Having said that, the only other thing I would have changed was to leave out additional perspectives that weren’t as crucial to the story (they could be demonstrated in other ways) and to strengthen Callie’s “voice,” as she was supposed to be the central character. I felt everyone else’s emotions so strongly, and yet Callie’s were only really displayed when she spoke. Perhaps it was because Ms. Green didn’t want to assume how she was feeling when she didn’t know what was going through her head, for sure. Overall, I truly loved this story and am thankful for the opportunity to read it. It made me honestly cry, which is rare for books to do. I also wanted to hug the people I was closest with when I was done (however, that wasn’t easy as I had finished it in the lunch room of my office building). Ms. Green shares a little about her friend at the end of the book and I think she would have been proud to read such a heartfelt “love letter,” had she lived to see this in print. I absolutely loved this book when I read it! It was so good! I can't wait for her next one! Me neither! I love all her books! I heard this book was good, and i like her style of writing. I would like to read this book.